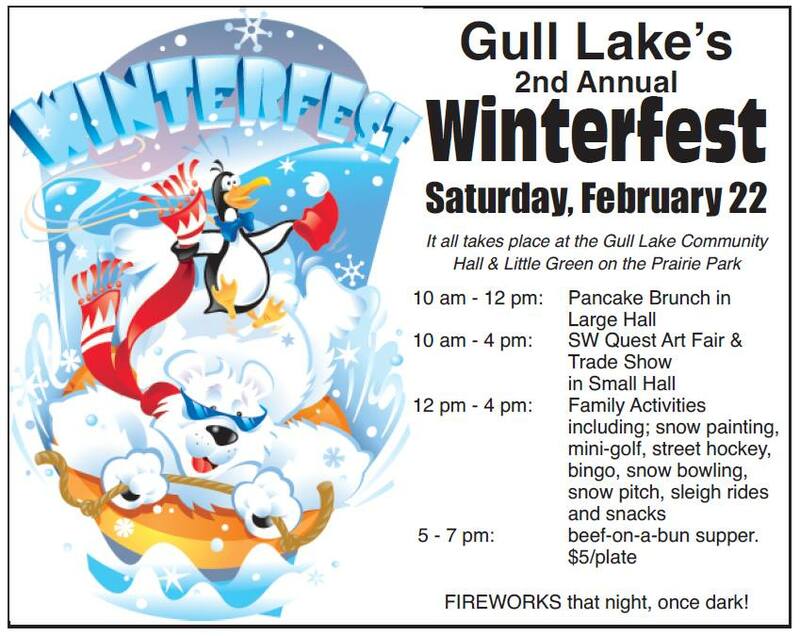 Gull Lake is getting ready for its 2nd Annual Winterfest celebration Saturday February 22nd! Lots of fun for everyone! Everything begins at 10 AM!! Starting with a Pancake Breakfast and the Southwest Quest Art & History Art Fair & Trade Show. SNOW PITCH TOURNAMENT! Games will start at noon, with the number of game TBD by the number of teams that register. All ages welcome. Cost is $5/player, to a maximum of $50/team. To enter your team, contact Sara at (306) 672-4449. Last year was a hit–let’s make the 2nd year even better! !